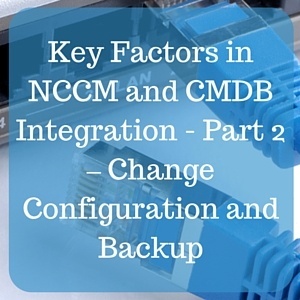 In Part 1 of this series I discussed how an NCCM solution and a CMDB can work together to create a more effective IT inventory system. In this post, I will be taking that a step further and show how your change configuration process will benefit from integration with that same CMDB. In general, the process of implementing IT infrastructure change happens at 3 separate stages of an assets lifecycle.